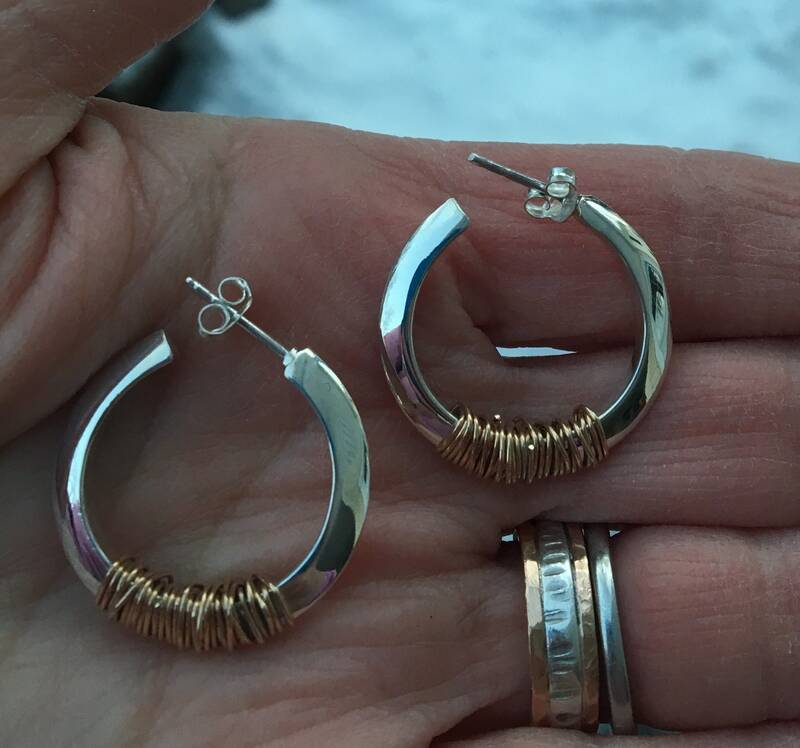 These shiny sterling silver hoops have been wrapped with gold filled wire. 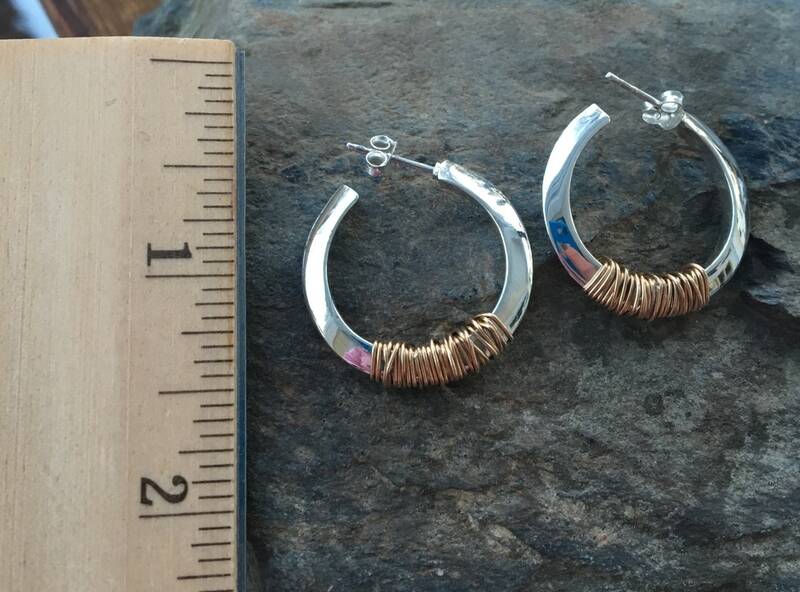 These earrings are the perfect size to wear any time! 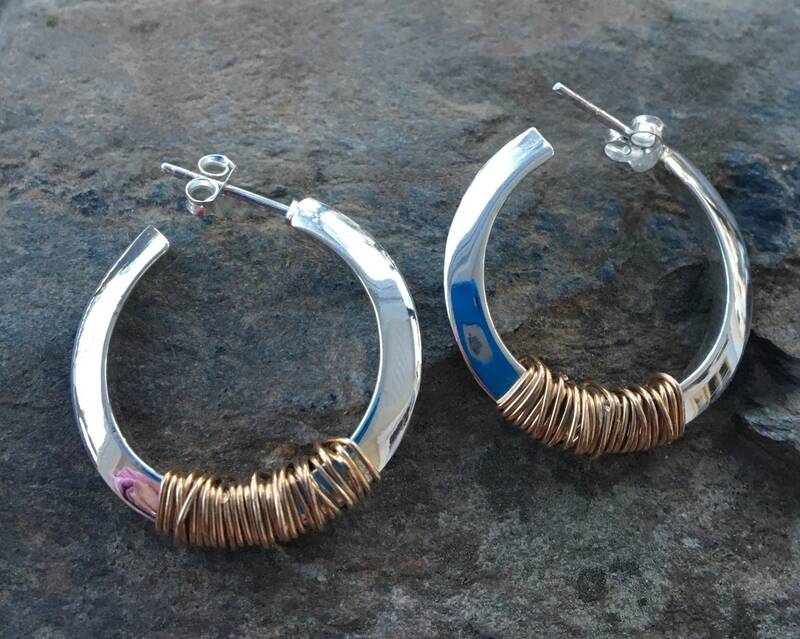 They also mix & match well with any gold or silver jewelry. Snap closure. See photo for size/measurements.